Jillian Michaels’ 7-day detox drink is one of most effective and popular weight loss drinks around the world. Numerous people have tested this quick weight loss method and found that it is really helpful for reducing the excess water weight and bloat. The goal is to drink 2 liters of Jillian Michaels’ detox drink every day for 7 days in a row and you can easily drop 2.5 kg of excess water from your body. Here’s what you need for Jillian Michaels’ 7-day detox drink. Boil the distilled water and steep the tea for at least 10 minutes. Discard the tea bag and mix all of the ingredients together. Repeat for 7 days in a row. Cranberry juice is full of antioxidants and helps you urinate frequently. Dandelion tea helps with your digestion and also makes you urinate more often. Lemon juice is alkalizing and is great for stimulating the liver. If you’re not happy with your waistline and want to get rid of a few pounds in a short period of time, this Jillian Michaels’ 7-Day Detox Drink will definitely help you achieve your goal. 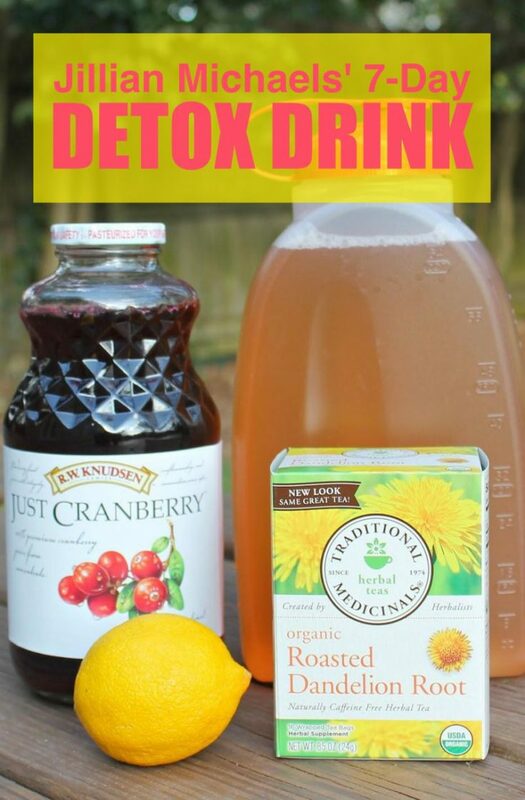 If you think this detox drink has a bad taste, then you’re soooo wrong! This is as refreshingly delicious as it is good for your body! Do you eat anything during this detox or is this the only thing you drink all day along with water I’m guessing ?